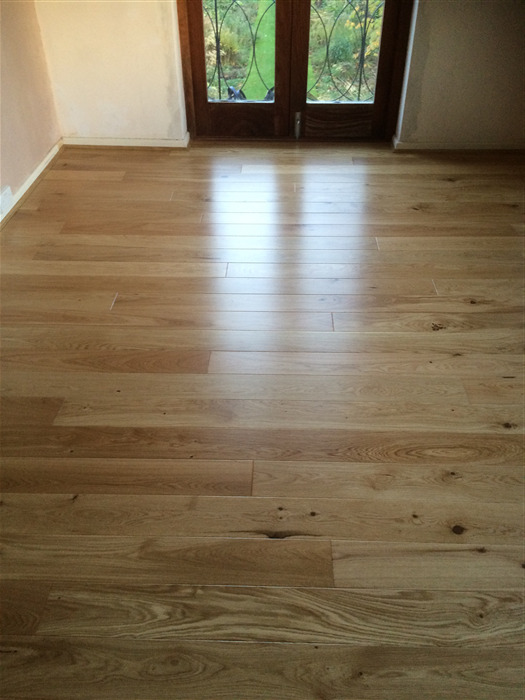 The satin lacquer finish on our Natura Oak Wexford gives it a beautifully smooth and elegant look. The rich, warm, golden hues of the grain will undoubtedly add a touch of class to any space. 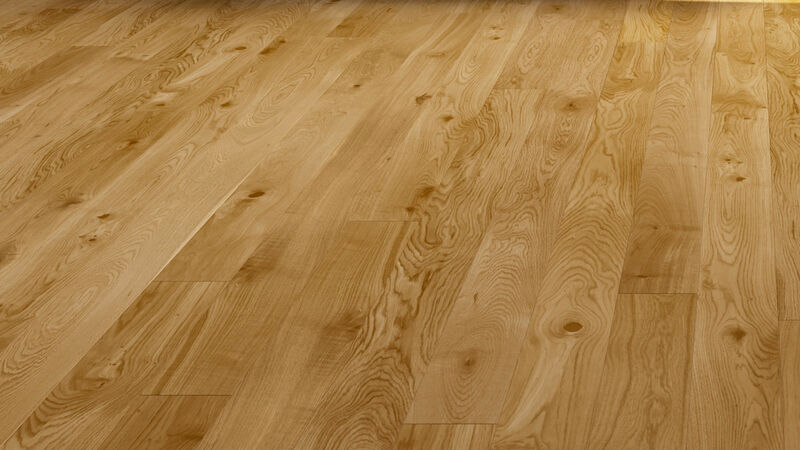 The wood has been chosen for its rustic features, including large knots, cracks and colour variation. Quality products and good service at a reasonable price. 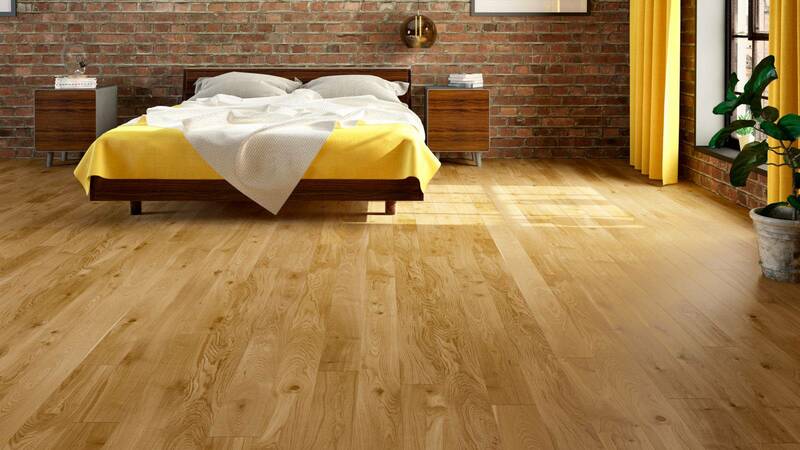 We purchased flooring from Flooring Supplies some 12 years ago and fond the quality of products, value, customer service and delivery arrangements excellent. We hunted out the old invoices and were pleased to find FS still trading. 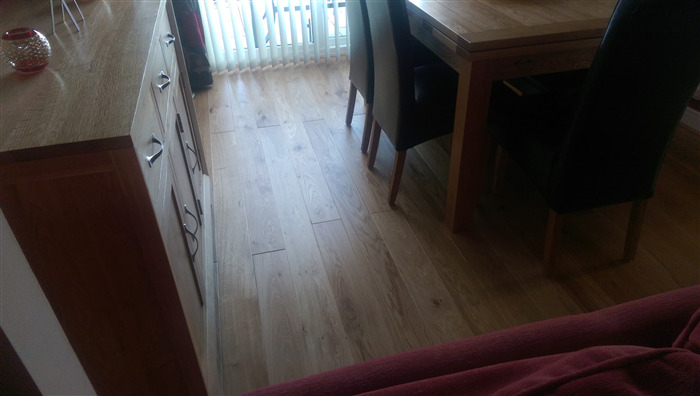 Our previous existing Natura flooring has been in service for the 12 years in a hallway, office and dining room and remains as good as the day it was laid so we hope our new living room floor (Natura Wexford) will perform as well - the service is certainly as good as we remember! 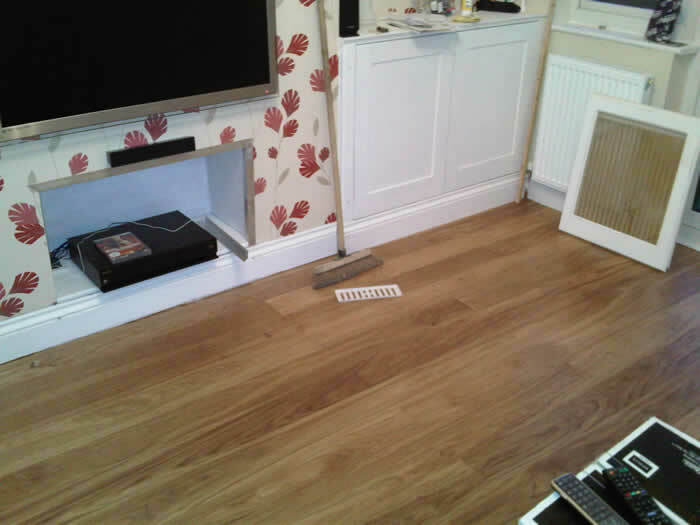 The flooring was straightforward to lay and looks well. However we were rather concerned about the number of knots and filled knots (not apparent from the sample or the photos) but the overall effect in our room is fine. Great value all arrived as agreed, good back office telephone support from Daniel. Deffo buy this product again. We went for Wexford Satin lacquered, only a 2-3mm for sons bedroom. Great for low tread areas. Very happy. How much expansion gap should I leave for this Flooring ? 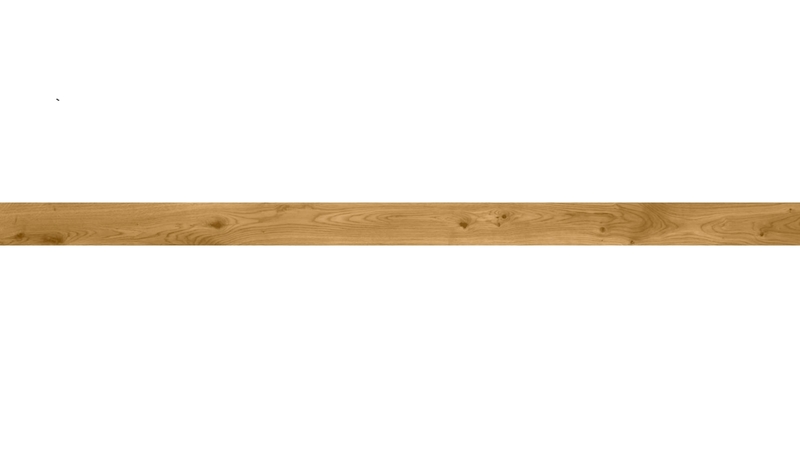 The recommended expansion gap for all engineered flooring is 10mm around any fixed point. Is this floor suitable for a cloakroom?